Cricket enthusiasts are in luck as a rare bat signed by the 2015/16 Lancashire County Cricket Club team is available to bid on now on Givergy.com with proceeds going to wish-granting charity Purple Heart Wishes. 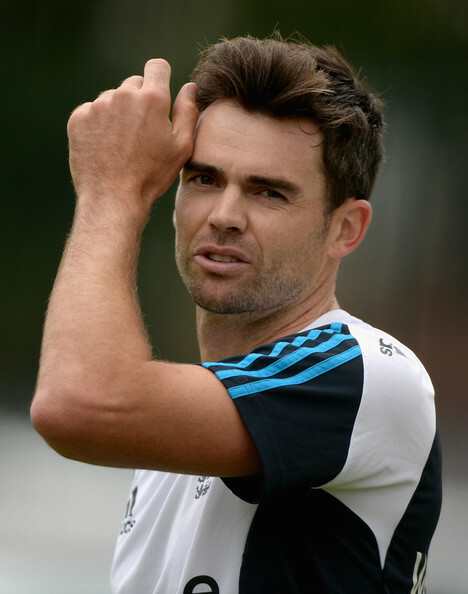 The bat is signed by famous names including the team captain Tom Smith and England recorder breaker & legendary bowler James Anderson (below). Other players include Steven Croft (Vice Captain), Tom Bailey, Karl Brown, Nathan Buck, Jos Butler, Glen Chapel, Jordan Clark, Alex Davies, George Edwards, James Faulkner, Gavin Griffiths, Haseeb Hameed, Paul Horton, Kyle Jarvis, Simon Kerrigan, Arron Lilley, Liam Livingstone, Saqib Mahmood, Matthew Parkinson, Stephen Parry, Alviro Petersen, Ashwell Prince, Luke Procter, Luis Reece and Peter Siddle. Bidding is open from 1 June until 30 June 2016, with bids starting at £200. Founded in 2009, award-winning technology company Givergy offers an effective online fundraising platform that allows users to take part in flexible auctions and prize draws or purchase ‘buy it now’ items. The site gives people the chance to win incredible money-can’t-buy items and experiences that aren’t available anywhere else. Listings vary from high-profile celebrity meet-and-greets and signed memorabilia, to concert tickets and sporting events. Purple Heart Wishes fundraises to help adults over the age of 18 years with terminal illness, to experience a dream during the most vulnerable time of their life by granting wishes. The charity enables the individual and their families to build lasting memories that will always be remembered. For more information, visit www.givergy.com, or follow Givergy on Twitter or Facebook.